Liniar plastic piling has proven instrumental to a conservation charity’s bid to restore 40 mossland sites in the Cheshire area and see the reintroduction of some rare species of wildlife – with the latest phase showing impressively swift results. 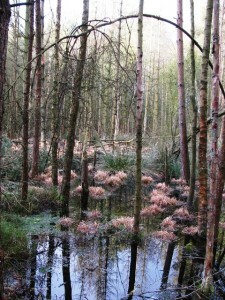 “The meres and mosses of Delamere Forest were created more than 15,000 years ago during the end of the last Ice Age – during this time a large glacial ice sheet covered most of Northern England. As it began to retreat and melt, large blocks of ice were left stranded across the landscape. “Over time these also melted, leaving behind indentations in the ground known as kettle holes. These filled with water and became ‘meres’ – pools which were wide in comparison with their depth. The shallower of these meres began to fill in with debris from the plants which had begun to grow within them. 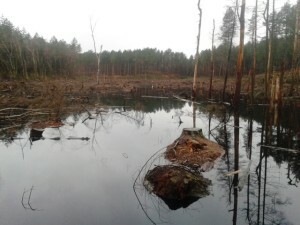 “Some filled in entirely, a soil type known as peat forming in waterlogged conditions and accumulating within them over time. Peat holds a great deal of water, in fact it has less solids than milk. It’s very stagnant (low in oxygen) and slightly acidic. “These conditions made it very difficult for any normal plant species to thrive. However, some species became especially adapted to these environments. 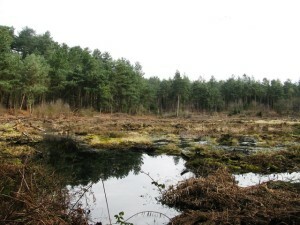 “In time sphagnum (bog moss), round-leaved sundews (an insect eating plant) and other unusual species, such as bog asphodel, began to colonise these areas. This is what’s known as a mossland (or moss). 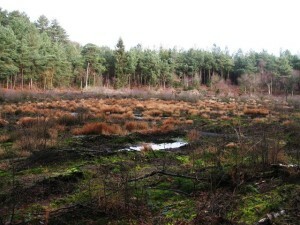 Over 200 of these mosslands exist across Cheshire. 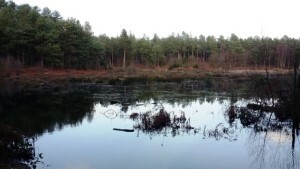 In order to continue the restoration of these important sites, the Cheshire Wildlife Trust approached Liniar about its plastic piling, quickly establishing that it would be the ideal product. 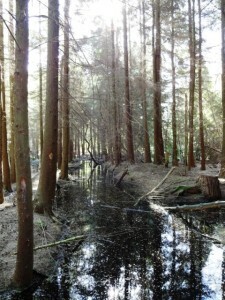 It has since been utilised to block up old drainage networks, allowing the water levels to rise and some of the specialised species to return. Ideal for use by farmers, forestry commissions and environmental protection bodies for a variety of reasons, the entire range of Liniar plastic piling is made from 100% lead-free recycled plastic, promoting sustainability and cutting down on waste. It doesn’t rot or rust, making it far friendlier to the surroundings than steel. Neither does it leach chemicals into the water, therefore causing no harm to the natural habitat. Because Liniar’s plastic piling is manufactured from uPVC it doesn’t require any maintenance once installed, and because it doesn’t rot or rust it won’t ever need to be replaced. “Plastic piling’s an excellent tool for blocking the ditches because of its strength and durability. It’s also light and easy to transport to site, which makes it perfect for moving across bogs,” says Katie. “The fact that it can be driven in by hand is also a major plus as it can be extremely difficult to get machinery in place in that kind of environment. “We have used Liniar piling regularly throughout this whole project as the product is perfect for our needs and much better value for money than other firms we contacted. “We’ve used piling either on its own to simply raise water levels, or with a pipe to allow excess water to pass through. Wherever possible we’ve covered these dams in peat to make them even more secure. The latest phase of the project at Delamere Forest, which is owned and managed by the Forestry Commission, utilised almost 500 two metre lengths of Liniar’s standard Z format piling, covering a distance of 162 metres. Installed by three different contractors, Wildbanks, Redwood Tree Specialists and BH Fletcher – Katie’s already delighted with the results. Click here to find out more about Cheshire Wildlife Trust, and the important work that they do. For more information on Liniar plastic piling click here.